Another Kind of HAARP: Earthquake Wars? I recently posted some information on the possibility that the Christchurch quake was human-caused. I realize this is a possibility not everyone finds palatable. However, my dear friend Suzanne has passed on more links on HAARP which I’ve pasted below. Have a look. This may give pause for consideration. http://www.eons.com/groups/topic/2409577-Is-HAARP-more-dangerous-than-the-atom-bomb – ‘Holes in Heaven’ video. http://wisdomquarterly.blogspot.com/2009/06/new-clouds-or-haarpchemtrails.html The effects of Haarp technology – videos on Buddhist site. http://exopolitics.blogs.com/exopolitics_radio/2008/05/coopradioorg-le.html – Is HAARP a space based weapon and should it be banned by international treaty? HAARP mp3 interview by Geo-Scientist, Leuren Moret is a former scientific laboratory employee known for her study of the adverse health and environmental effects of depleted uranium. Moret worked for two periods at two U.S. nuclear weapons laboratories, including Lawrence Livermore National Laboratory. She has claimed the status of a whistleblower in connection with her work at Lawrence Livermore. http://www.moneyteachers.org/Earthquake.War.htm Are we in a HAARP earthquake war? The reality is that the value of the US$ is determined by the fact that oil is sold in US$. If the denomination changes to another currency, such as the euro, many countries would sell US$and cause the banks to shift their reserves, as they would no longer need US$ to buy oil. This would thus weaken the US$ relative to the euro. A leading motive of the US in the Iraq war — perhaps the fundamental underlying motive, even more than the control of the oil itself — is an attempt to preserve the US$ as the leading oil trading currency. Since it is the USA that prints the US$, they control the flow of oil. Period. When oil is denominated in US$ through US state action and the US$ is the only fiat currency for trading in oil, an argument can be made that the USA essentially owns the world’s oil for free. Now over $1.3 trillion of newly printed US$ by US Federal Reserve is flooding into international commodity markets each year. Thigh power radio waves of HAARP can be used to produce such intense vibrations as to cause an earthquake. HAARP based technology can be used to encourage/produce various weather phenomena such as hurricanes, flooding, or drought through manipulation of the ionosphere. 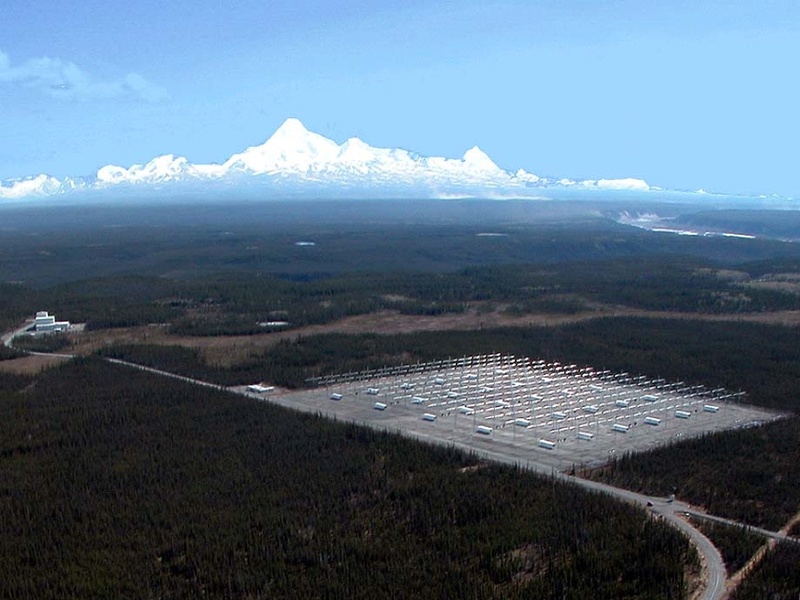 Already Russia, China and Venezuela have suggested that a HAARP type technology weapon is capable of such and attack and possibly been used against several countries.